The Homoeopathic Treatment of Children will help all people who are involved in the care of childrens health. 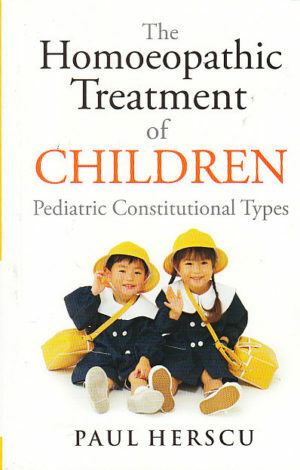 It has been described as the first modern pediatric Materia Medica and comes highly recommended. Categories: Health, Health and Medicine, Homoeopathy, Mind, Body, Spirit. Tags: homeopathy, 9788131900239, alternative medicine, alternative therapy, complementary medicine, complementary therapy, health, homeopathic medicine, homoeopathic medicine, homoeopathy. The Homoeopathic Treatment of Children is gives both a clear overall impression of the various major constitutional types, and also a detailed outline for reference at the end of each chapter. Not only does Paul Herscu draw from various sources (repertories and materia medica), he also adds indispensable original information from his successful practice.